Susan Elsa was born on April 14th 1982, while Michael Jackson had just started officially to record his biggest selling Album “Thriller”. That means, Michael wrote this. Susie and ME. 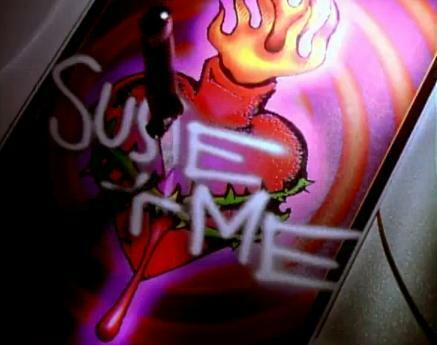 The one who is writing is Michael, and someone else tries to attack the couple, who wants to take Susie’s place and pretend to be her. Now, what does the name “Susan” mean to begin with? Here is a descpription of its meaning and origin from an online link for baby names, so in case you have a baby on the way, check it out if you need inspiration! 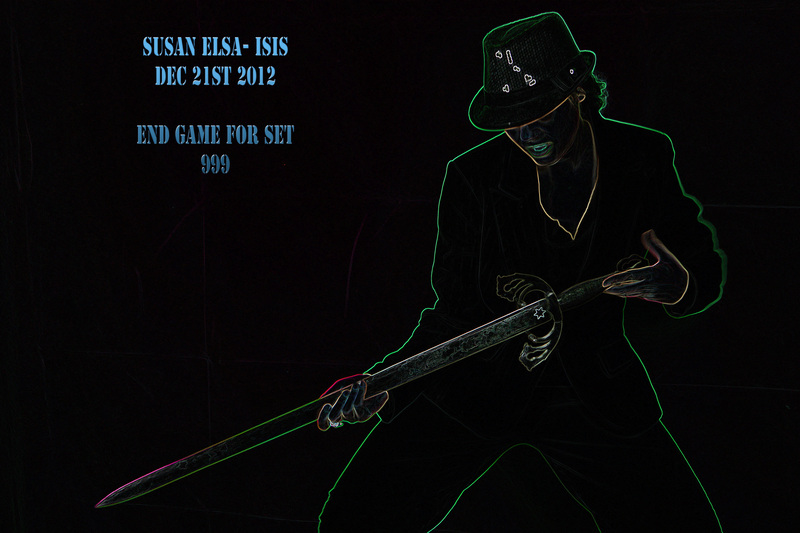 Susan \s(u)-san\ as a girl’s name is pronounced SOO-zun. It is of Hebrew origin, and the meaning of Susan is “lily“. Short form of Susannah. In the apocryphal Book of Tobit,Susannah was a woman of courage who defended herself against wrongful accusation. First used in the 18th century. Susan is the English form, Suzanne is French, and Susana isSpanish. See also Suellen, Xuxa, and ZsaZsa. Suffragette Susan B. Anthony; authors Susan Cheever, Susan Isaacs; actresses Susan Hampshire, Susan Dey, Susan Sarandon; basketballplayer Sue Bird. 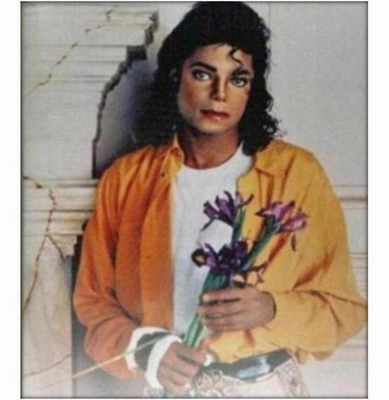 Michael showed me all this last night, and he said the CD Cover of his love song “LIBERIAN GIRL” shows him next to a white fire place holding LILY FLOWERS. 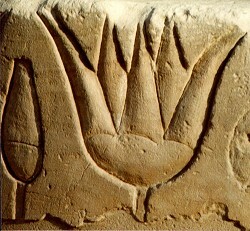 The Egyptian Blue Lotus is not a Lotus flower, but a type of WATER LILY. 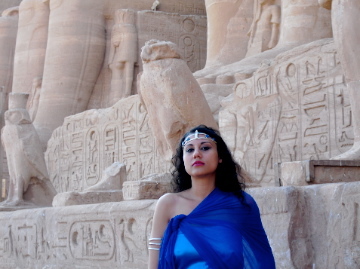 It is one of the core symbols of IsIs and was put in temples thousands of years in white and blue for her and Osiris. I myself was shocked, in a positive way, once again when I found sacred texts from ancient Egypt, originals not modern bla bla by people online, and it shows further evidence of all the stories I went through in this life time. 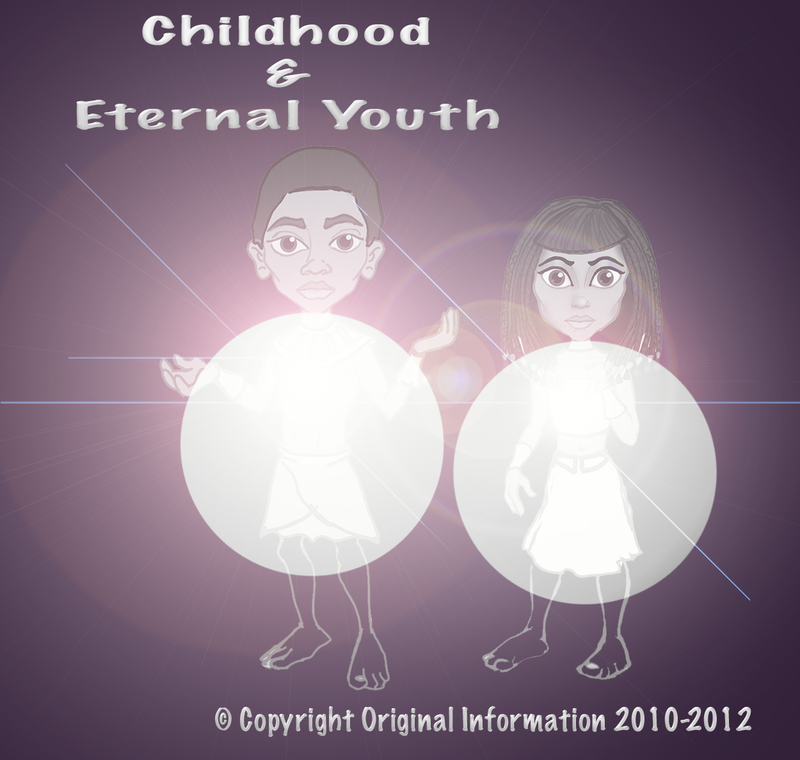 It also shows the deeper spiritual and emotional suffering I had to endure and the very foundation on which I and Osiris became “Warriors of Love, Light and Justice/Truth”. The obverse, reverse, and two sides of the Metternich Stele have cut upon them nearly three hundred figures of gods and celestial beings. These include figures of the great gods ofheaven, earth, and the Other World, figures of the gods of the planets and the Dekans, figures of the gods of the days of the week, of the weeks, and months, and seasons of the year, and of the year. The spells, which are cut in hieroglyphics on all the parts of the stele not occupied by figures of gods, were of the most potent character, for they contained the actual words by which the gods vanquished the powers of darkness and evil. The first spell is an incantation directed against reptiles and noxious creatures in general. The chief of these was Apep, the great enemy of Ra, who took the form of a huge serpent that “resembled the intestines,” and the spell doomed him to decapitation, and burning and backing in pieces. These things would be effected by Serqet, the Scorpion-goddess. The second part of the spell was directed against the poison of Apep, and was to be recited over anyone who was bitten by a snake. When uttered by Horus it made Apep to vomit, and when used by a magician properly qualified would make the bitten person to vomit, and so free his body from the poison. The next spell is directed to be said to the Cat, i.e., a symbol of the daughter of Ra, or Isis, who had the head of Ra, the eyes of the uraeus, the nose of Thoth, the ears of Neb-er-tcher, the mouth of Tem, the neck of Neheb-ka, the breast of Thoth, the heart of Ra, the hands of the gods, the belly of Osiris, the thighs of Menthu, the legs of Khensu, the feet of Amen-Horus, the haunches of Horus, the soles of the feet of Ra, and the bowels of Meh-urit. Every member of the Cat contained a god or goddess, and she was able to destroy the poison of any serpent, or scorpion, or reptile, which might be injected into her body. The spell opens with an address to Ra, who is entreated to come to his daughter, who has been stung by a scorpion on a lonely road, and to cause the poison to leave her body. Thus it seems as if Isis, the great magician, was at some time stung by a scorpion. At this point on the Stele the spells are interrupted by a long narrative put into the mouth of Isis, which supplies us with some account of the troubles that she suffered, and describes the death of Horus through the sting of a scorpion. Isis, it seems, was shut up in some dwelling by Set after he murdered Osiris, probably with the intention of forcing her to marry him, and so assist him to legalize his seizure of the kingdom. Isis, as we have already seen, had been made pregnant by her husband after his death, and Thoth now appeared to her, and advised her to hide herself with her unborn child, and to bring him forth in secret, and he promised her that her son should succeed in due course to his father’s throne. spells over him, the poison of the scorpion ran out of his body, and the child came to life again. The words of the spell are cut on the Stele, and they were treasured by the Egyptians as an infallible remedy for scorpion stings. When the woman saw that her son had been brought back to life by Isis, she was filled with joy and gratitude, and, as a mark of her repentance, she brought large quantities of things from her house as gifts for Isis, and they were so many that they filled the house of the kind, but poor, woman who had given Isis shelter. Now soon after Isis had restored to life the son of the woman who had shown churlishness to her, a terrible calamity fell upon her, for her beloved son Horus was stung by a scorpion and died. The news of this event was conveyed to her by the gods, who cried out to her to come to see her son Horus, whom the terrible scorpion Uhat had killed. Isis, stabbed with pain at the news, as if a knife had been driven into her body, ran out distraught with grief. 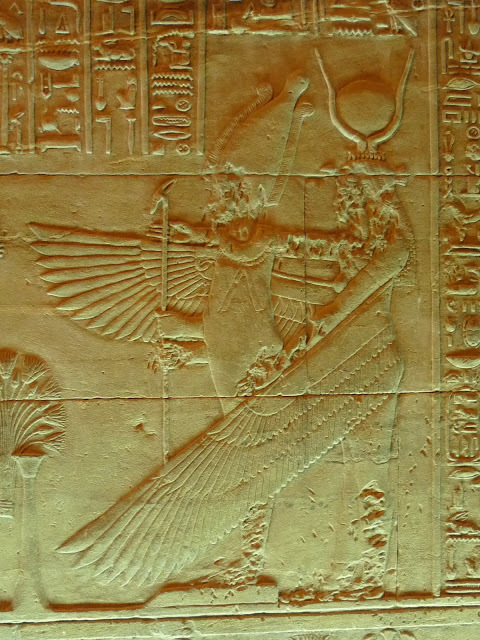 It seems that she had gone to perform a religious ceremony in honour of Osiris in a temple near Hetep-hemt, leaving her child carefully concealed in Sekhet-An. During her absence the scorpion Uhat, which had been sent by Set, forced its way into the biding-place of Horus, and there stung him to death. them the history of her sufferings they endeavoured to console her, and when they found this to be impossible they lifted up their voices and wept with her. Then Isis placed her nose in the mouth of Horus so that she might discover if he still breathed, but there was no breath in his throat; and when she examined the wound in his body made by the fiend Aun-Ab she saw in it traces of poison. No doubt about his death then remained in her mind, and clasping him in her arms she lifted him up, and in her transports of grief leaped about like fish when they are laid on red-hot coals. Then she uttered a series of heartbreaking laments, each of which begins with the words “Horus is bitten.” The heir of heaven, the son of Un-Nefer, the child of the gods, he who was wholly fair, is bitten! He for whose wants I provided, he who was to avenge his father, is bitten! He for whom I cared and suffered when he was being fashioned in my womb, is bitten! He whom I tended so that I might gaze upon him, is bitten! He whose life I prayed for is bitten! Calamity hath overtaken the child, and he hath perished. of power of his mother which have lifted up his face, and they shall enable him to journey wheresoever he pleaseth, and to put fear into the powers above. I myself hasten [to obey them].” Thus everything turned on the power of the spells of Isis, who made the sun to stand still, and caused the dead to be raised. Such are the contents of the texts on the famous Metternich Stele. There appears to be some confusion in their arrangement, and some of them clearly are misplaced, and, in places, the text is manifestly corrupt. It is impossible to explain several passages, for we do not understand all the details of the system of magic which they represent. Still, the general meaning of the texts on the Stele is quite clear, and they record a legend of Isis and Horus which is not found so fully described on any other monument. “These spells even talk about giving Ani the ability to return to look on his earthly house and to come back against his enemies. Sets of transformation spells written to allow the deceased to turn into a wide variety of animals – swallows, hawks, serpents, crocodiles, herons and even a phoenix. Other transformations included the ability to turn into a holy lotus, or even into different gods. Thank you Caroline for posting this wonderful article in simple words on 12-12-12! May all evil cease to exist once and for all and the good souls live free of lies and deception by Set. May all rotten, dark hearts who served Set follow him into DOOM. IsIs’ throne is in HEAVEN and cannot be stolen. Hie, I was hoping to contact you via email, about twinflames and mystery schools of egypt. Why I would like to contact you is because, I feel, you are authentic, and as a young lady waking up, I would like to receive more information for those who stand for the truth, harmony, love and peace. I am drawn to twinflames as i feel as though i may be one, and mystery schools as i feel I may have a past life there, and starting to tap into it. Hope to hear from you and thankyou to both you and Michael for all you do. Blessings. Hello Nyasha. Yes I got now your email forwarded, thank you so much for reaching out! I will write you an email so we can talk about it and see, who you were in ancient Egypt, it is totally the time where all remember now more and more past lives that are key in spiritual evolution, to consolidate the full consciousness of the soul. 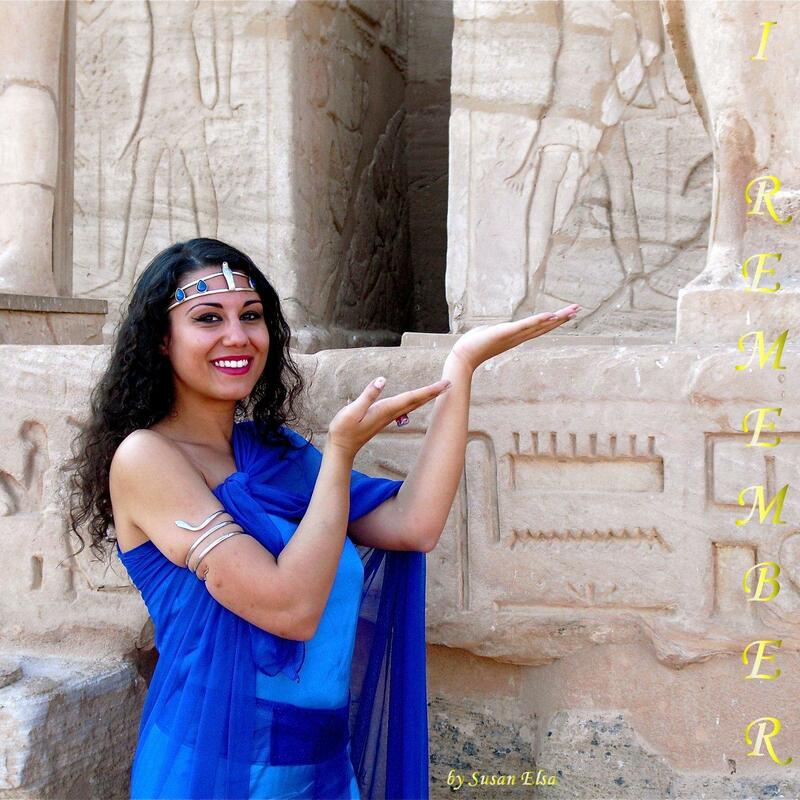 Hello Suzana,I am very interested to know who I was in ancient Egypt.Can you explain some things to me and help me find out? Hello Mina! 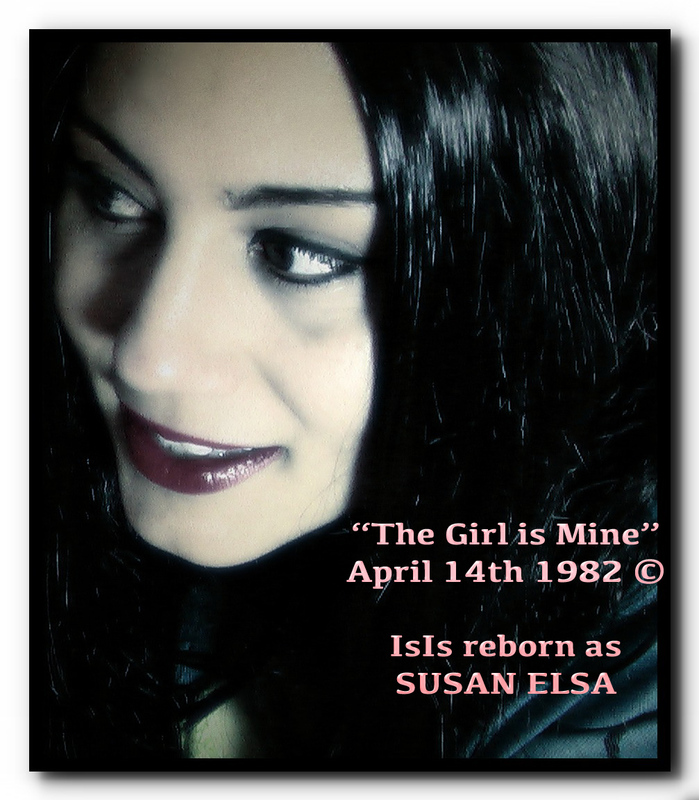 Of course, you may email me at : info@mystery-garden.com – subject: For Susan Elsa, I will then reply from my direct Email so we can discuss 🙂 Big Hug and much Love & Light to you! May I email you Susan? 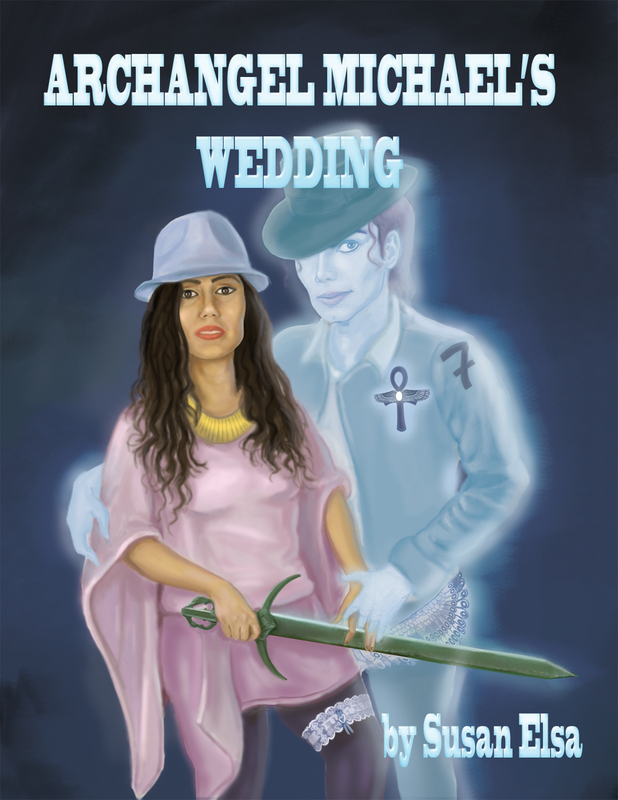 I am waking up as a twin flame of a recently deceased celebrity,& I would like your help. 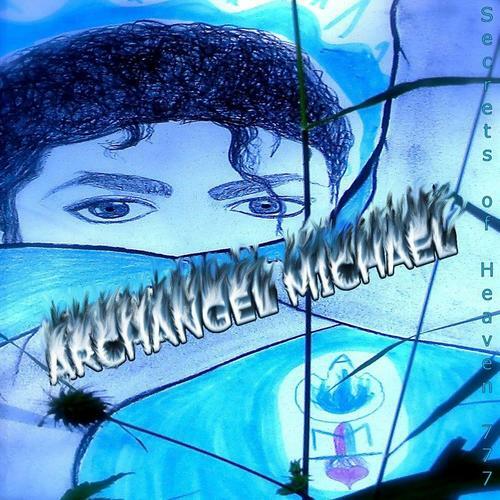 I know your authenticity,& I would like yours and archangel Michael’s guidance in my twin flame journey. Hello Ambrosia, so sorry for the delay just got my Computer back. You can email me with subject line “to susan elsa” at label email and I answer from my personal they forward to me without reading. I am here for you, everything will be alright. Much Love and Light and hope to hear from you soon! Wow. 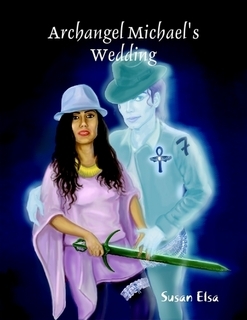 I googled “Michael Jackson past lives” and ended up here. 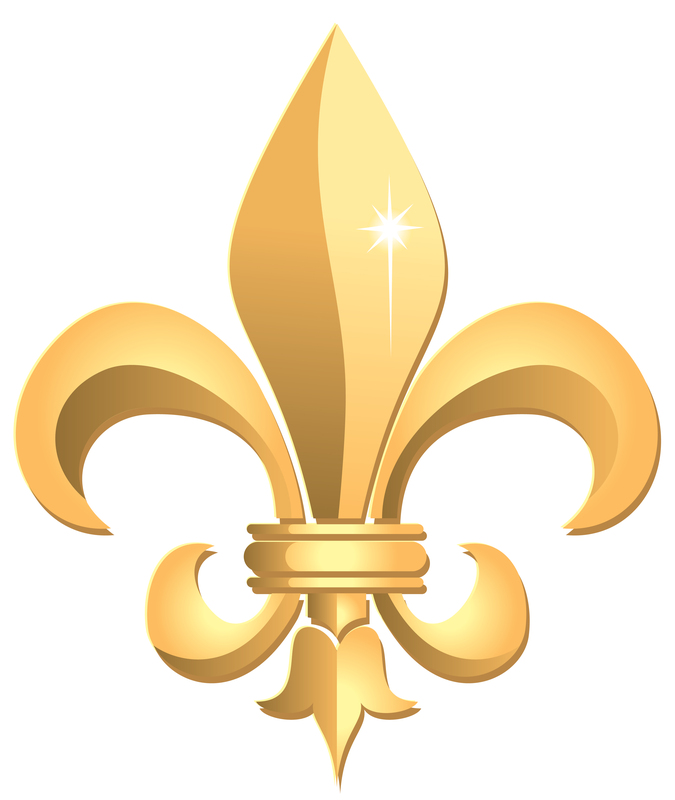 I’ve felt for some time that Michael and Janet both had past lives in France (he named his daughter Paris; Janet made her “Come Back To Me” video in Paris, etc).. and I saw your page and learned that the fleur de lis comes from an EGYPTIAN SYMBOL. That blew my mind! Just from the “Remember the Time” video, I felt that Michael had a deep affinity with Egypt (that and his make-up style often reminded me of Egyptian make-up), and now I’m putting the pieces together. I had a past life with a celebrity (not Michael), and like you, I see many clues in my current lifetime which didn’t make sense until I got that information. For what it’s worth, I believe you. I felt a link to Michael, even as a child, and I think it was partly because he was such a spiritual person. I used to joke that maybe he was an alien, as he was so much ‘higher’ than most humans! Very interesting site. I look forward to reading more!